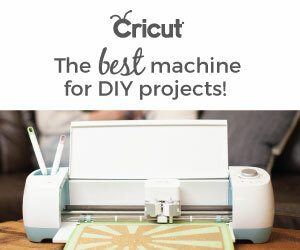 Are you having a homemade Minnie Mouse Party or know someone who is having one? Please feel free to share these easy to make DIY Chip Bags. They are a great Minnie Mouse Party idea for your dessert table or as a party favour. These Minnie Mouse party ideas are a great to be made at home. 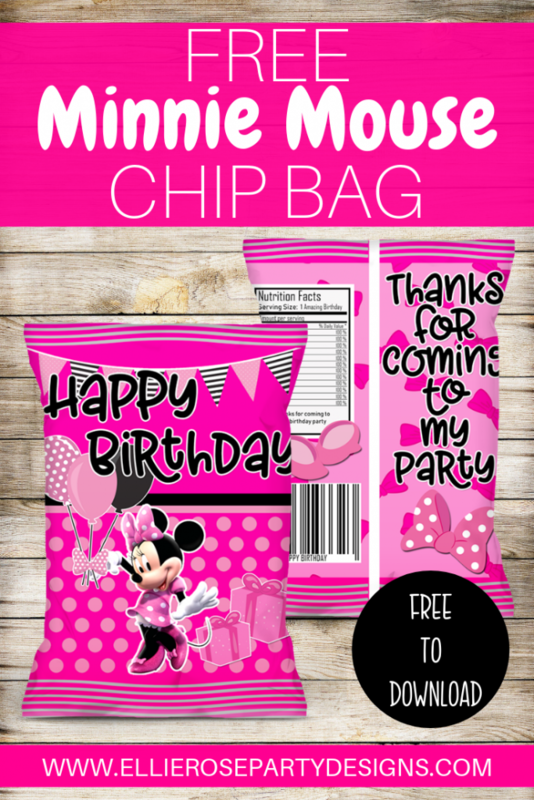 I know a lot of moms are always searching for ideas of Minnie mouse party foods, well here is one you can download and print as many times as you want for free. There are a few ways you can use these bags. They are not only just for chips. 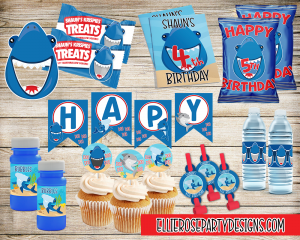 If you want to add lollies or use as a party favour goodie bag that is filled with lots of small toys, you are welcome to do that too. 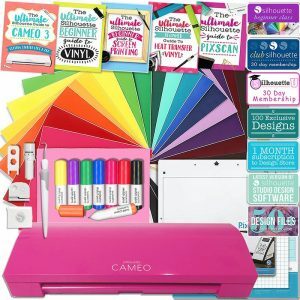 You can print these chip bags out as many as you need right from home or your nearest print shop! What’s included in the download? 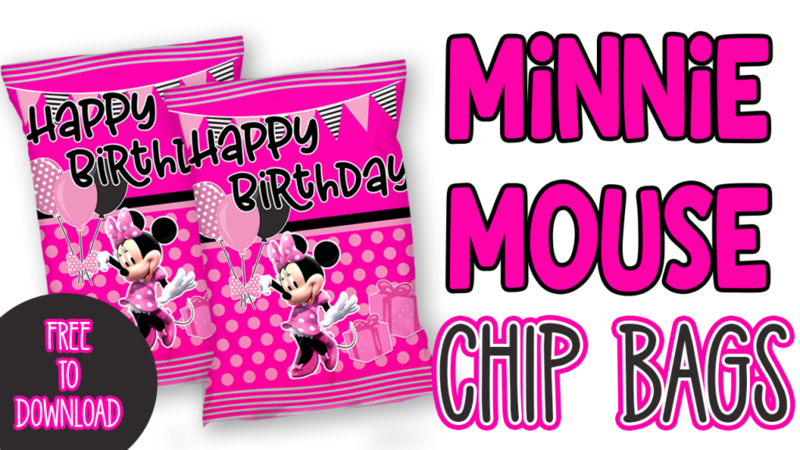 WANT TO LEARN HOW TO ASSEMBLE YOUR MINNIE MOUSE CHIP BAGS? WATCH MY STEP-BY-STEP TUTORIAL BELOW. Make sure to subscribe to my Youtube Channel for more party decoration ideas and tutorials. 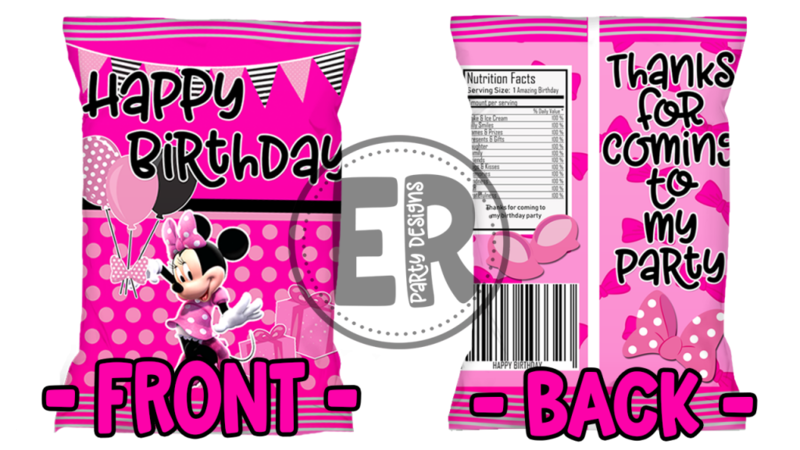 I think your Mickey and Minnie chip bag idea is subperb.absolutely love them.